Renowned San Diego architect Irving Gill is famous for designing the home of Ellen Browning Scripps (today's Museum of Contemporary Art in La Jolla), the Bishop's School in La Jolla, and the Marston Home in Balboa Park, but until recently few people knew the culmination of his historic career on the Barona Indian Reservation. To celebrate Irving Gill's major contributions to modern architecture, Barona Museum will be joining more than a dozen local cultural institutions in a multi-site collaborative exhibit. As part of Barona's celebration, everyone is invited to join us on guided tours of the Barona Church, The Assumption of the Blessed Virgin Mary, designed by Gill in the early 1930s. 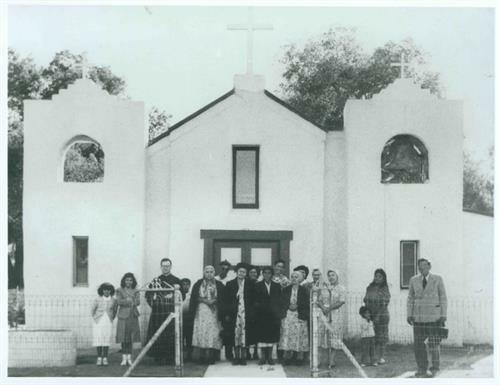 Please joins us to learn about the Barona People, their forced relocation from the Capitan Grande Reservation in 1932, and how they rebuilt their lives here on the Barona Indian Reservation. Tours are free and will be conducted the first Friday of every month.